In all likelihood, you've made it this far because you've earned it. You have a rock-solid business model. You've landed a series of key strategic partnerships. You've successfully executed an ambitious go-to-market strategy. Your product or service is already getting traction. And you've shown that you can scale. Yet to fund further growth, you will need institutional funding, and that will require that you get buy-in from institutional investors. However, in order to prove to these seasoned VCs that you've come as far as you indeed have, you will need to share your most valuable intellectual property through a demanding due diligence process. Needless to say, if any aspect of this highly sensitive undertaking is mismanaged, you run the risk of compromising your most prized assets. They could even fall into a competitor's hands. In order to solve this all-too-common dilemma, any startup entering a Series A investment round this year needs a highly secure, cloud-based workspace designed specifically for organizing and sharing the most sensitive and confidential data: a virtual data room (VDR). In a prior era, key stakeholders or their representatives would generally travel to a physical data room and comb over sensitive documents in-person at great expense to everyone involved. Yet as online collaboration and cloud-storage tools have rapidly improved over the past five years, the virtual data room has quickly surpassed its physical precursor as the new industry standard. 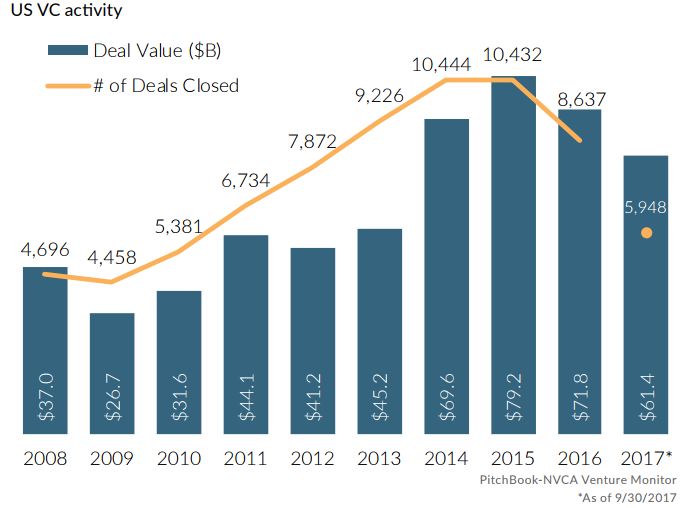 As IBISWorld points out, venture capital firms (along with law firms and private equity firms) are showing every indication that they will continue to "transition away from physical data rooms" in favor of VDRs within the next few years. Virtual data rooms have definitely become a critical part of the due diligence process. Many startups understandably focus on outward gains rather than inward organization. 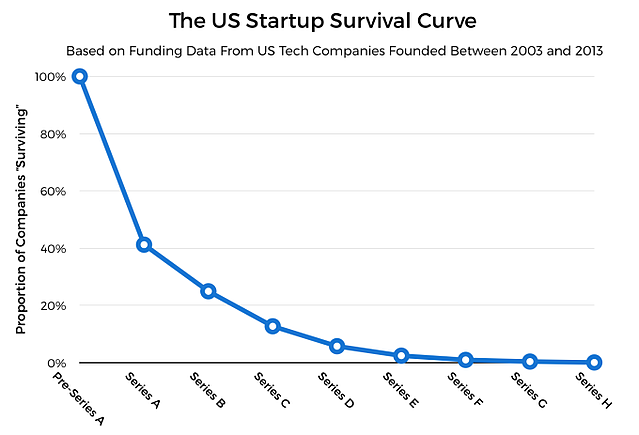 Yet startup fundraising at the institutional level requires a new, more rigorous mindset. The investment due diligence process in particular forces even the most successful startups to get their affairs in order, and fast. Startup founders and their teams have no choice but to quickly transform themselves, at least for a few months, from big-picture thinkers to detail-oriented, meticulous filers. In order to comply with all the requirements of a thorough investment due diligence, the startup team will need to follow strict industry-standard formats for indexing files containing their digital assets in a VDR. As daunting as this may sound, it's entirely within reach, as long as you start early and choose an intuitive, professional-grade VDR to carry you forward. When comparing VDR solutions, look for a few organizing essentials, such as a file index feature that allows users with the proper permissions to reorder files in the data room for optimal sequential viewing. On a more technical front, it's important to ensure that any VDR provider under consideration meets the highest compliance and security standards for handling sensitive data online. In particular, the VDR provider should leverage multiple data centers distributed over several continents, with redundant data copies. When it comes to your most sensitive documents, the capacity to revoke access is just as important as the capacity to grant it. 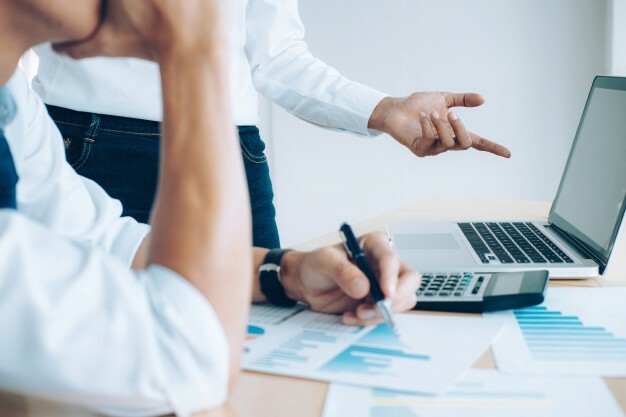 Although it's difficult to find firm stats on the number of investment deals that fall through during due diligence, you should prepare for any eventuality. Accordingly, your VDR's access controls should have the flexibility to add and remove users as new investors enter the pool, and others drop off. The best VDR solutions will allow you to automate the removal process by setting an access expiry date for new recipients. Either way, your VDR's access controls should provide you with the capacity to easily and instantly grant or revoke access at the individual or role-based level (e.g. co-owner/contributor/viewer). As a startup raising venture capital, you should expect to pitch to at least one or two dozen VCs. Accordingly, your virtual data room should provide you with the capacity to manage access for a large number of individuals and investment teams over a prolonged period. If you can find a VDR solution that allows for unlimited data recipients, this is better still, as you won't need to concern yourself with a cap. Most VDR solutions focus on handling multiple (or even unlimited) recipients. Yet some VDR solutions go further and allow you to create and handle multiple (and even unlimited) data rooms from a single account. This is an extremely useful and powerful feature that is well worth adding to your list of must-haves. Access control, secure hosting and end-to-end data encryption serve as the non-negotiable backbone of any virtual data room solution. Yet nowadays, a professional-grade virtual data room will go well beyond this basic foundation to include built-in digital rights management with highly flexible security options. For example, if you reluctantly decide to give a tentative, non-committal investor access to your VDR, you may want the option to restrict their capacity to print or download your most sensitive documents. In most cases, however, you will probably want to draw the line at preventing investors from creating copies of your documents. Therefore, look for an advanced copy protection feature in any VDR solution you select. Other advanced features to look in a professional-grade VDR include easy bulk-uploading/importing; customizable watermarking; and a built-in NDA. Ideally, the VDR's bulk-upload/import feature should integrate seamlessly with your company's general cloud storage solution (e.g. Google Drive, Dropbox). The watermarking feature, in turn, should apply watermarks to any number of selected documents at once. The built-in NDA, while not always necessary, is a tactful expedient. After all, most VCs will neither sign, nor appreciate being asked to sign, a separate NDA during the pitching process. In the coming years, as investors continue to transition to ever-larger deals, the due diligence process will only get more involved and more demanding. To counter-balance this trend toward increasing complexity, the virtual data room solution you select should be extremely user-friendly and intuitive. This holds both for the VDR's setup and its data management interface. A good rule of thumb is that the virtual data room should take no more than an hour to set up for your team. Moreover, the VDR should never require users to install software/plugins. A cloud-based VDR should also be available 24/7 with a guarantee of high availability. Without these user-friendly considerations baked into your chosen VDR solution, potential investors will inevitably grow frustrated as their access is slowed by software/plugin requirements, a clunky interface and an unreliable cloud server. Highly secure and specialized solutions, such as professional-grade VDRs, do cost more than generalized consumer-grade solutions like Dropbox. Yet while Dropbox may meet the basic requirements of some seed or angel investors, a genuine virtual data room is a non-negotiable, must-have for a Series A investment team. Yet there is a difference between an affordable VDR that justifies its cost and an overpriced VDR that doesn't. You should pay only for what you need. The best way to distinguish between an affordable, streamlined VDR and an overpriced, bloated VDR is to take each contender for a test drive. Most VDR providers will grant you a free trial that you can leverage as you evaluate your options. Of course, some providers will require you to slog through a lengthy sales call before giving you access to their free trial. Others, thankfully, let you sign up in seconds. Unless you and your team have already completed an institutional funding round in the past, this may be the first time you've setup and managed a virtual data room. Therefore, you're bound to have questions, and so will your potential investors. To get those questions quickly answered, your VDR needs to provide two essential support channels: a ready-to-use resource center and a timely support line. If the VDR provider you're considering lacks either of these essential support channels, you may want to move on. One of the best ways to measure the progress of an investment deal is to track activity in your data room. Most potential investors have neither the time nor the inclination to inform you every time they look over a document you've provided. However, a professional-grade VDR will provide you with detailed, at-a-glance usage stats that will provide you with that precise information while giving you insight into each investor's level of activity (and therefore potential interest). As the CEO and Managing Director of Sapphire Ventures reminds us, "you can't fire your VC if something goes wrong." With this truism in mind, VC usage analytics gives you a golden opportunity to evaluate your potential investors, just as they're evaluating you. As we've outlined above, choosing a data room for investment due diligence this year is a matter of finding all the right elements in a single VDR solution. First, look for the capacity to efficiently secure hundreds (and ideally an unlimited number) of sensitive documents. Download this ready-to-use investment due diligence checklist and get a headstart. Next, take the time to ensure that the VDR provider meets the highest compliance and security standards (e.g. HIPAA compliance and 256-bit AES end-to-end data encryption). It's also important that the VDR solution has the capacity to handle an unlimited number of data recipients across an unlimited number of data rooms. While these broad prerequisites and capacities provide an excellent foundation for any VDR, a professional-grade solution will truly distinguish itself through its advanced feature set. In particular, look for print and download restrictions; robust copy protection; bulk-document uploading/importing; customizable watermarking; and a built-in NDA. Yet all these advanced features should come seamlessly together in a simple, intuitive package that should take less than an hour to setup. And it should be affordable. A streamlined, cost-justified virtual data room will never require that you pay for dozens of flashy features you will never use. Nor will the VDR provider demand that you suffer through a lengthy sales call just to take advantage of the free trial. The support should also be fast and friendly, with both a ready-to-use resource center and a timely support line. A dashboard with user-specific analytics will also help you track investor activity while giving you insight into their true level of interest. Finally, beyond the due diligence process, you can use your VDR as a central, secure repository for your most sensitive and prized documents and data for as long as you see fit.